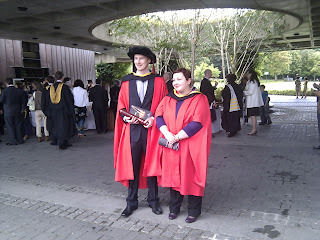 Congratulations to Dr Marc McLoughlin! 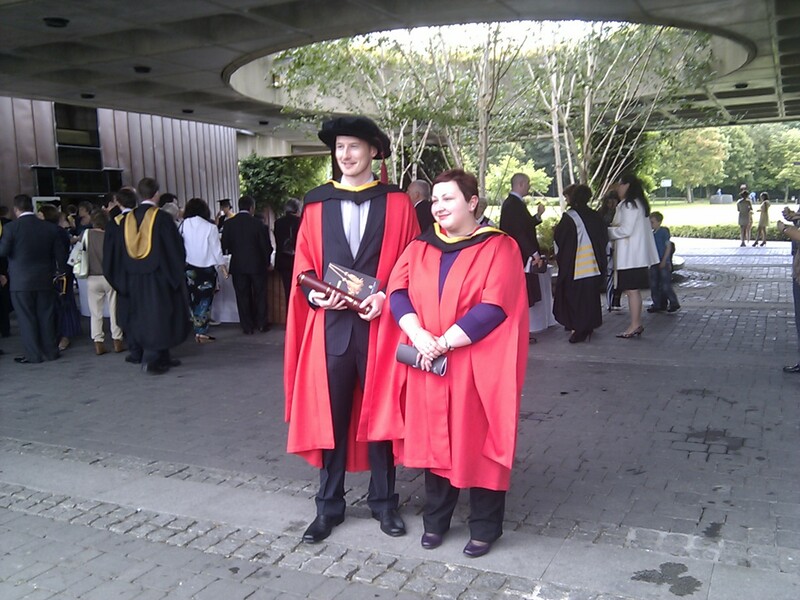 During the conferring ceremony that took place yesterday, 25 August 2011, our colleague Marc McLoughlin was officially awarded his doctorate! Designing for Public Interaction: Extending, Applying and Reflecting on the Principles of "Assembly"
Marc is pictured here with his supervisor, Dr Luigina Ciolfi, after the ceremony. The best of luck to Marc in his future career!